The artist behind Pennie's Playpen store carefully and painstakingly repaints Littlest Pet Shop and and My Little Pony playsets to make them cuter or creepier. They're transformed from toys into works of art, but I'd still want to play with them! This Halloween Tea Time House was created from either a Littlest Pet Shop or Lalaloopsy playset. If you ever needed a Halloween Ferris wheel for your dolls to play with and ride on, here it is! I'm assuming this Halloween pumpkin stable house was made from a My Little Ponies playset. 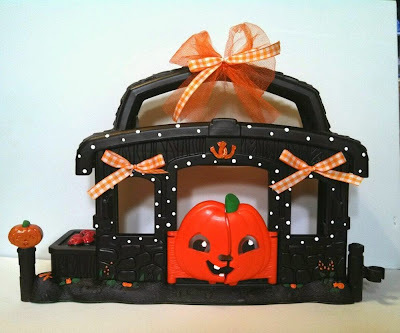 This really cool Halloween haunted house is a custom hand painted Littlest Pet Shop. Here's a Haunted Hayride from the same artist. Oh this is too cute - a Halloween movie theater. Take a peek at the interior of this cute Haunted Brewhouse - the interior details are adorable. This playset depicts a Haunted Tree House. 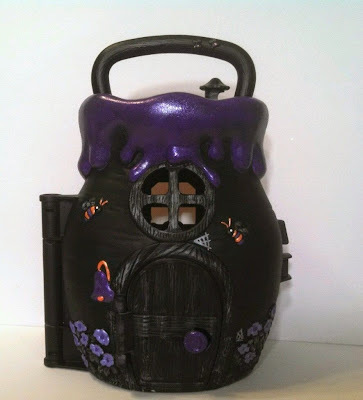 Here's another teapot-shaped Halloween playset. This cracks me up! 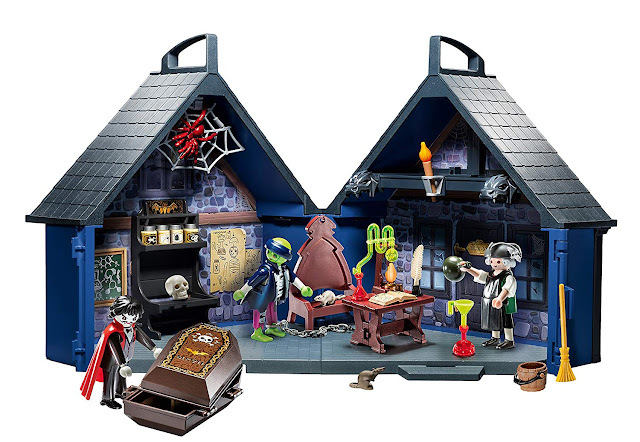 It's a Halloween Feather House playset. This is my absolute favorite - a Phantom of the Opera one-of-a-kind playset. Too cute.